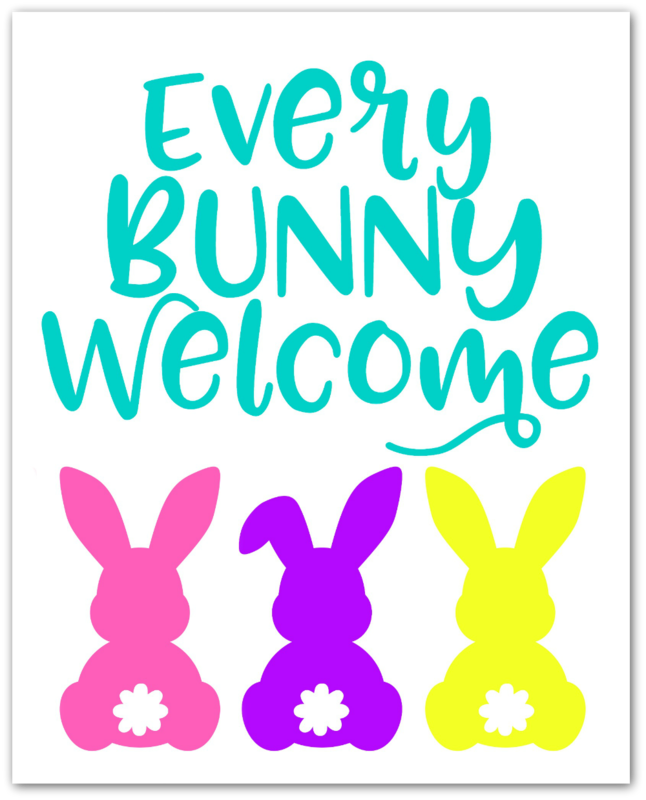 Welcome all your guests this Easter with this adorable Every Bunny Welcome sign. 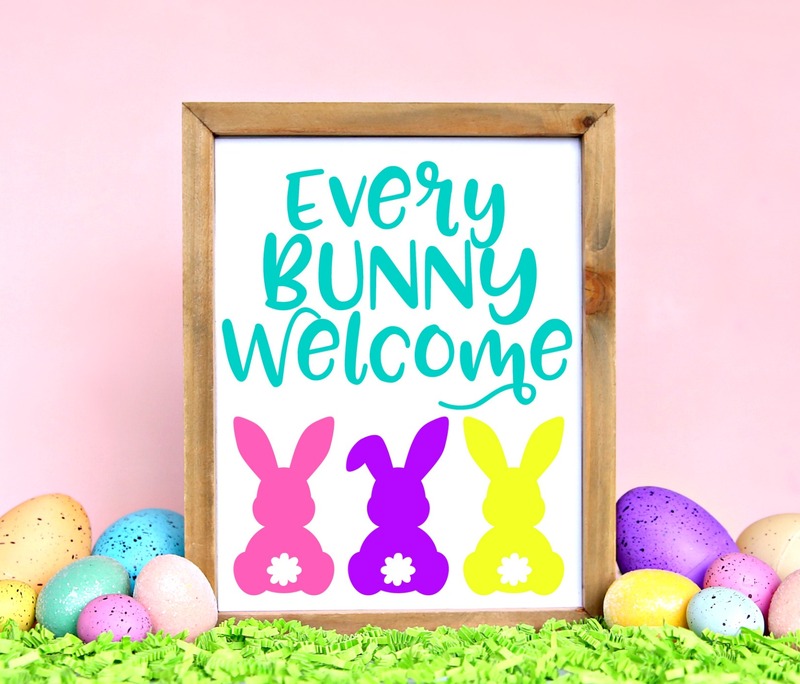 Just download the free Easter printable and add it to your favorite frame for an easy DIY Easter sign. It’s Friday so you know what that means – it’s Freebie Friday! Woohoo!! Who doesn’t love free stuff especially when it involves cute little bunnies. 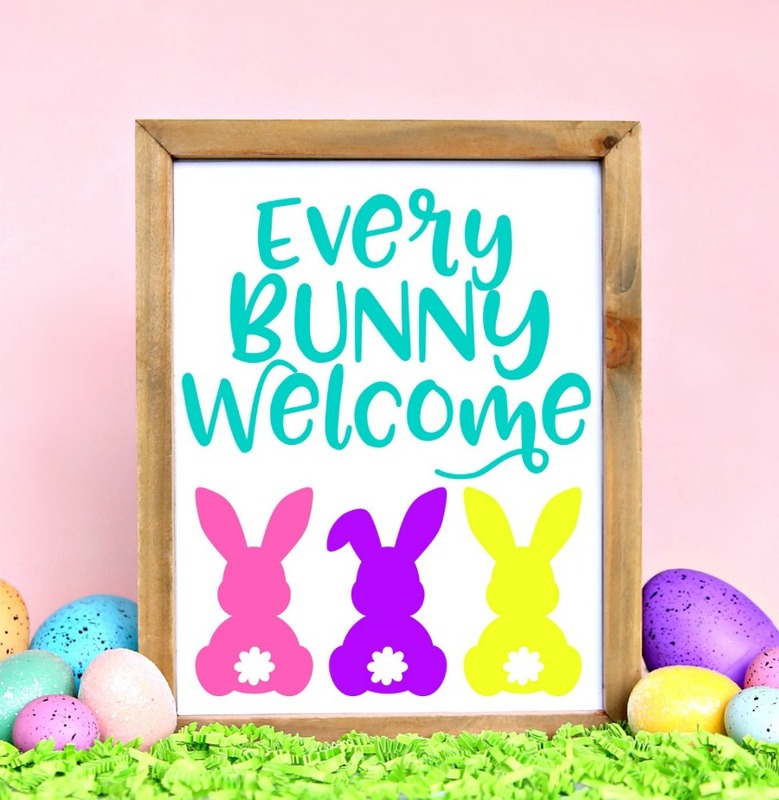 This adorable Easter printable is the perfect way to greet all your guests this spring. Want to download and print this cute printable? Of course you do! Just follow these steps. Click below to download the file and save it to your computer. Keep it simple and just add the printable to your favorite frame. Print the printable and add to your favorite frame but keep the glass off the frame. Use double sided tape on the back of the printable to keep it from falling out of the frame. Use spray adhesive or mod podge to adhere printable to a piece of wood.